The Awards, at The Roundhouse Camden London, recognise excellence in UK architecture across a range of categories, from school project of the year to housing project of the year. The landscape and infrastructure works at Sheffield Olympic Legacy Park were undertaken by Henry Boot Construction, with a project team including Turner and Townsend, Arup, Ares Landscape Architects and Amey. The works were funded through Sheffield City Region Infrastructure Fund and procured by Sheffield City Council. 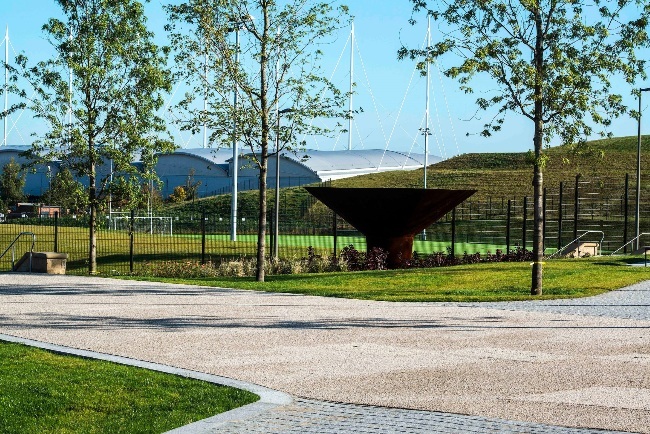 Ben Handley, from Ares Landscape Architects, said: “Just to be shortlisted for this award was great recognition of the contribution that Sheffield Olympic Legacy Park is making to the city and to delivering the legacy promised by the 2012 London Olympics. However to win is a fantastic boost to all concerned, putting the project well and truly on the map. Sheffield Olympic Legacy Park is a London 2012 Olympic Legacy Project for health and wellbeing research and learning. The four legacy themes from London 2012 are sport, local community, environment and economic regeneration. Each of these themes are being delivered on Sheffield Olympic Legacy Park.